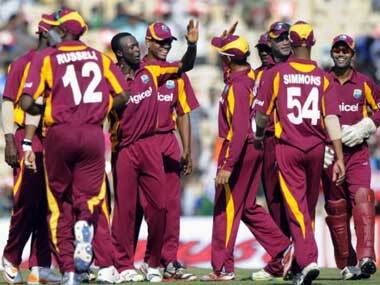 Bengaluru: High on confidence after their emphatic victory over England, the West Indies will once again look for an explosive knock from Chris Gayle to inch closer to a semifinal berth when they take on defending champions Sri Lanka in a World Twenty 20 Super 10 Group 1 match in Bengaluru's Chinnaswami Stadium on Sunday. The West Indians showed ominous form in the triumph over England but the Lankans are expected to put up a stronger challenge to them. Gayle could, however, prove to be the trump card for the West Indians after setting the tone with a 47-ball hundred against England -- the fastest ever in World Twenty20. Should his bat roars the way it did against England, the Lankans will find it nearly impossible to stop him from steering West Indies. Both the sides are not short on experience with Angelo Mathews and Tillakaratne Dilshan being the Lankan mainstays. As far as the batting of the West Indies is concerned it will revolve around the power-hitting Gayle who hammered 11 sixes against England. Perfect foil for Gayle at the other end would be Marlon Samuels, who would be keen to continue the form which he hit against England in the previous match. Samuels struck eight fours in his 37 before Gayle's brutal strikes took West Indies home. The West Indies also seem unaffected by the absence of all-rounder Kieron Pollard, opener Lendl Simmons and Darren Bravo. Mystery spinner Sunil Narine is not there to trouble the rival batsmen with his unorthodox bowling, but the Caribbeans still have a decent spin trio of Samuel Badree, Sulieman Benn, and Marlon Samuels. On the other hand, Sri lanka are coming into the match with a win against Afghanistan, who posed a spirited challenge before the seasoned Tillakaratne Dilshan guided the islanders to a six-wicket win in their opening match. The Angelo Mathews-led side will look to Dilshan, who smashed 83 not out off 56 balls against Afghanistan, to give yet another rollicking start against the formidable West Indies. Dilshan's knock would have bolstered the low confidence of Sri Lanka as they had suffered three consecutive losses in the Asia Cup besides losing two warm-up games in the lead up to their tournament opener. Dinesh Chandimal would like to give a brisk start to counter the threat posed by Gayle and Co.
After losing some matches coming into this tournament, Sri lanka suffered another when their 2014 WT20 winning skipper Lasith Malinga stepped down, following concern over his slow recovery from a knee injury. 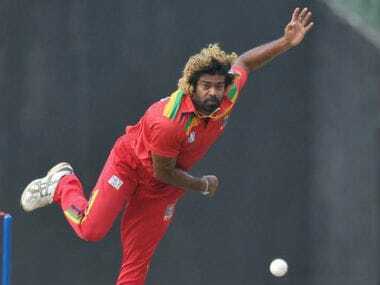 With bowling their weak link, the onus would be on the batsmen to put the big score on the board. Sri Lanka: Angelo Mathews (captain), Lasith Malinga, Dushmantha Chameera, Dinesh Chandimal, Tillakaratne Dilshan, Rangana Herath, Shehan Jayasuriya, Chamara Kapugedera, Nuwan Kulasekara, Suranga Lakmal, Thisara Perera, Sachithra Senanayake, Dasun Shanaka, Milinda Siriwardana, Lahiru Thirimanne. 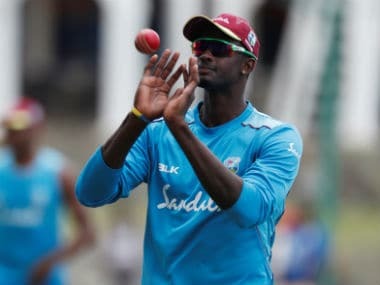 West Indies: Darren Sammy (captain), Samuel Badree, Sulieman Benn, Carlos Braithwaite, Dwayne Bravo, Johnson Charles, Andre Fletcher, Chris Gayle, Jason Holder, Ashley Nurse, Denesh Ramdin, Andre Russell, Marlon Samuels, Jerome Taylor, Evin Lewis.